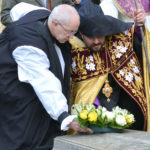 The cross is the work of Brigadier John Meardon, who retired from his role as Receiver General at the Cathedral in 2016, and Vartan Moskofian, an electronics engineer. 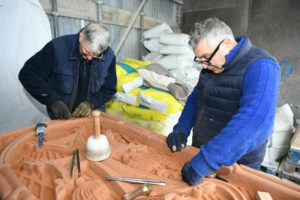 John said “The idea behind the stone was two fold. 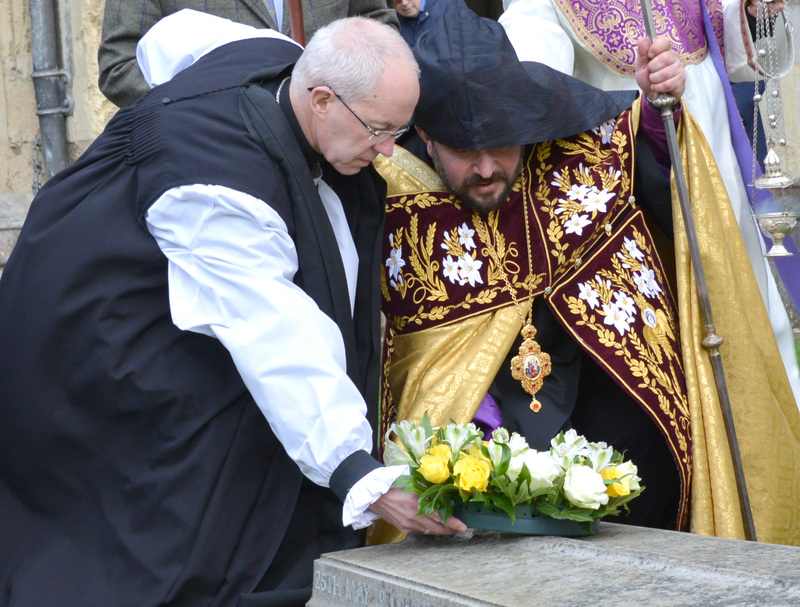 It’s to mark the centenary of the massacre of 1.5 million Armenians and to act as a symbol for reconciliation between peoples. 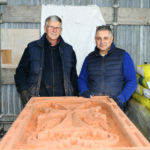 “Vartan and I are members of ‘Pure Form’, an amateur stone sculpture group here in Canterbury. 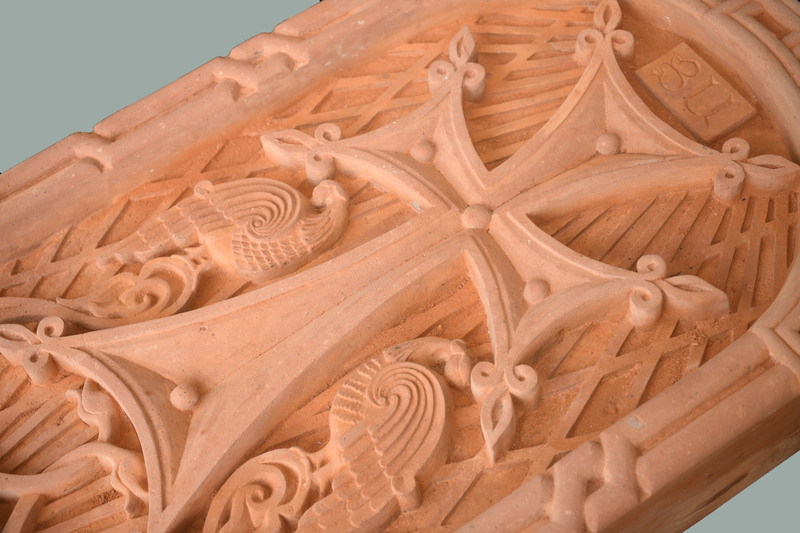 Vartan wanted to commemorate the massacre which had affected so many Armenians and thought it was a project we could both work on using stone as the medium. 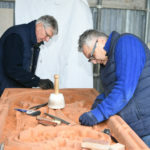 Brigadier John Meardon and Vartan Moskofian apply the finishing touches. 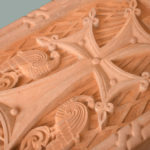 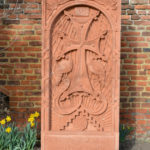 “Vartan drew up the design and I approached the Dean and Chapter to see if they would be happy to accept the cross as a loan item of religious sculpture. 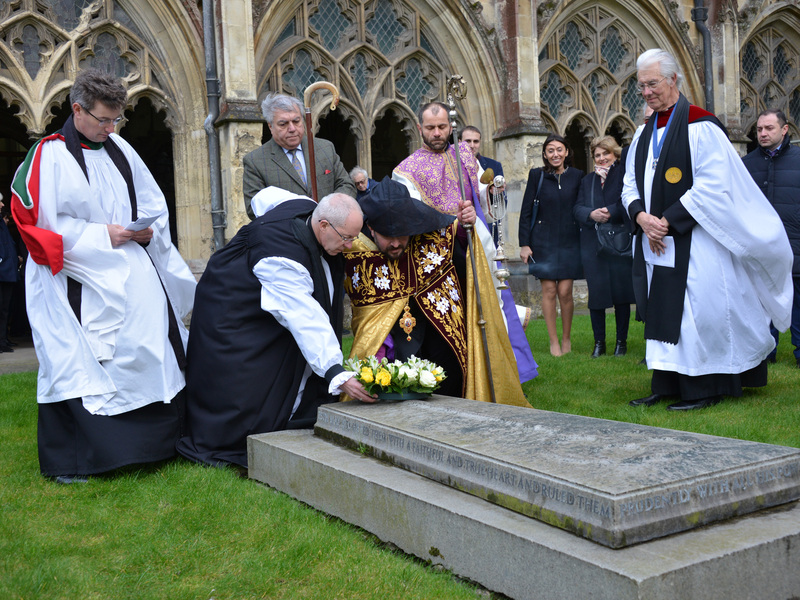 It seemed a good fit for Canterbury as Archbishop Randall Davidson* was very public in fighting the Armenian cause at the end of the First World War and not only is he buried in the Cloister but he also has a memorial inside the Cathedral. 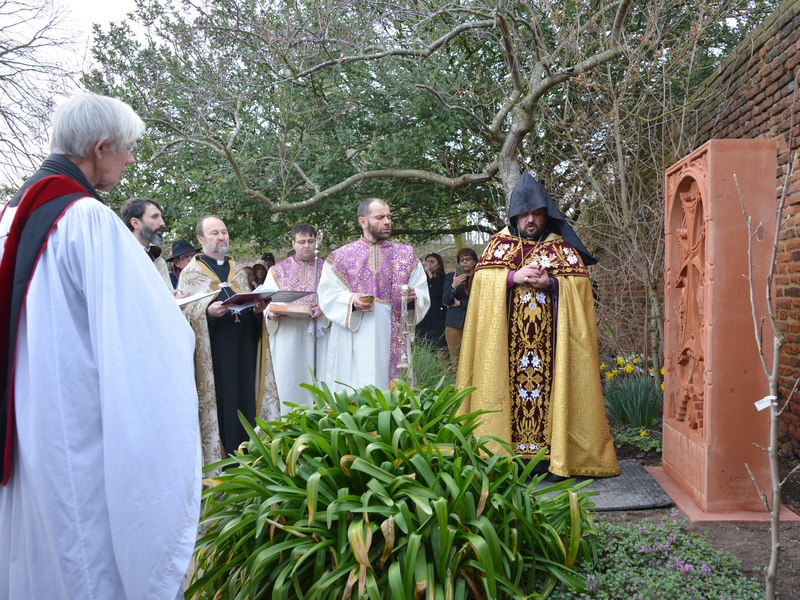 The Dean and Chapter have agreed to accept it after seeing the drawings and hearing the story. 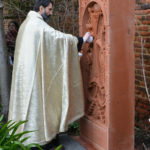 Vartan sounded out the Armenian community in UK and elsewhere and secured financial donations to purchase a block of stone in Armenia and ship it to Canterbury. 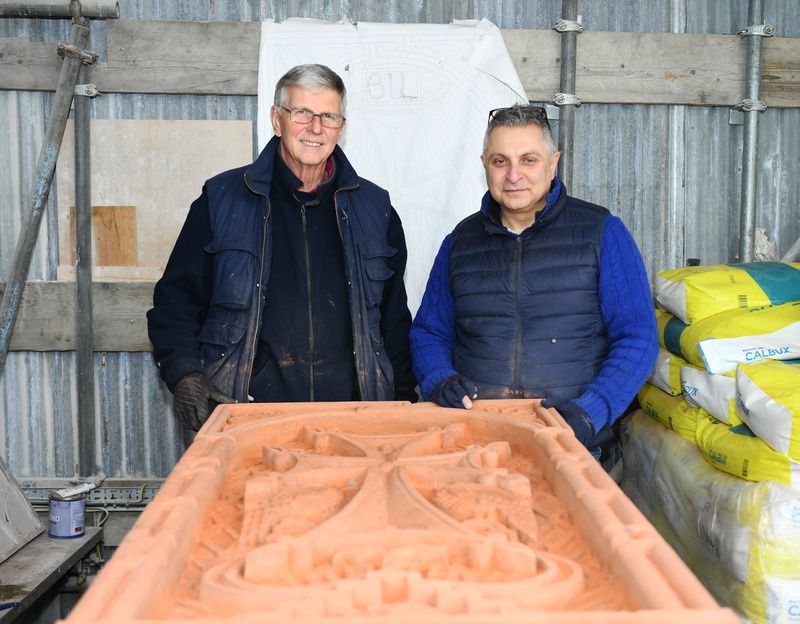 John added: “ It’s a reddish stone made from compressed volcanic ash and it took about three weeks for the half tonne block to be transported from the quarry in Armenia to Dover. 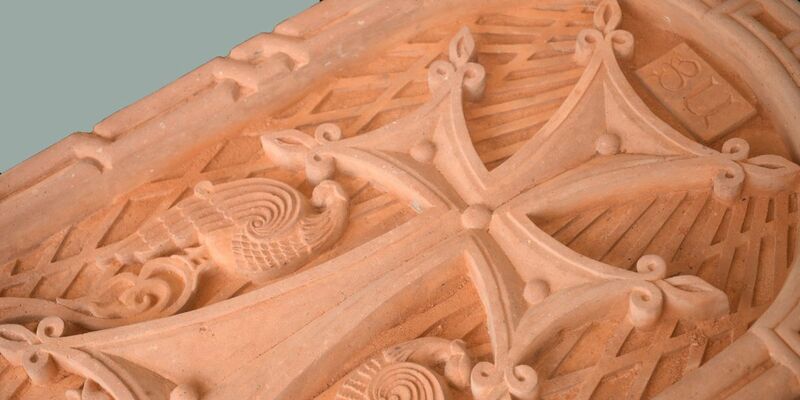 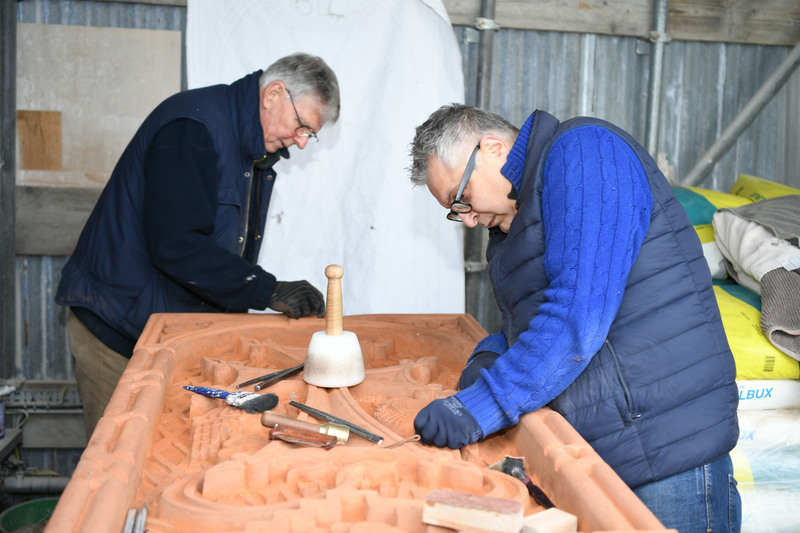 “We started carving the stone in July 2018 and it was completed earlier this year. 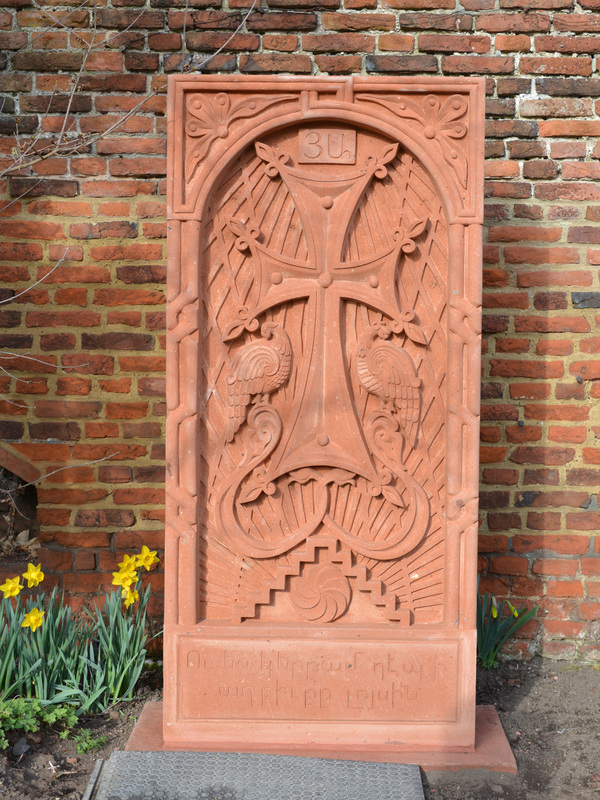 The design incorporates traditional Armenian liturgical symbology: there is a wheel of infinity, two peacocks and steps representing the ascent to heaven. 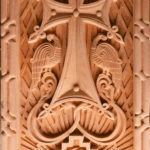 There is an inscription in Armenian which reads ‘And I go towards the source of the light’. 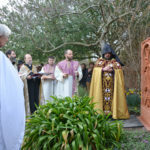 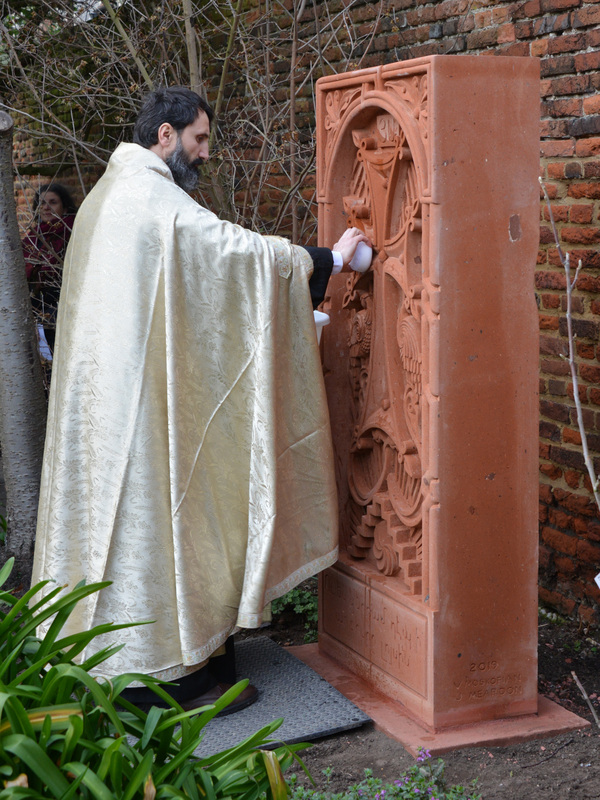 The free standing cross, called a “Khachkar” in Armenian, was placed in the Cathedral’s Memorial Garden and blessed by His Grace Bishop Hovakim Manukian in a short service following Evensong on Saturday 2 March, 2019. 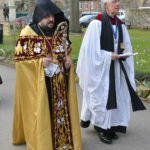 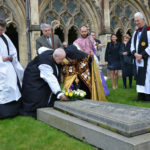 Bishop Hovakim Manukian was joined by The Very Reverend Justin Welby, Archbishop of Canterbury, in the laying of a wreath on the tomb of Archbishop Randall Davidson shortly after the blessing. 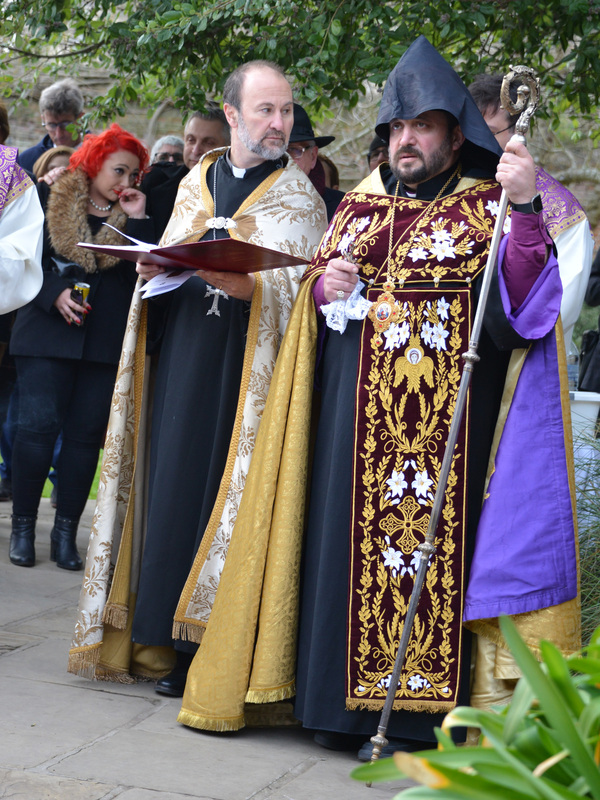 The Armenia Orthodox church is perhaps the oldest in the world. 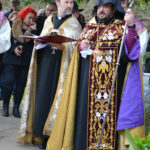 King Tiridates of Armenia established Christianity as the state religion almost 300 years before St Augustine arrived in Canterbury and the Armenian Orthodox Church remains one of three Christian presences still active in Jerusalem, along with the Greek Orthodox and the Catholic Churches. 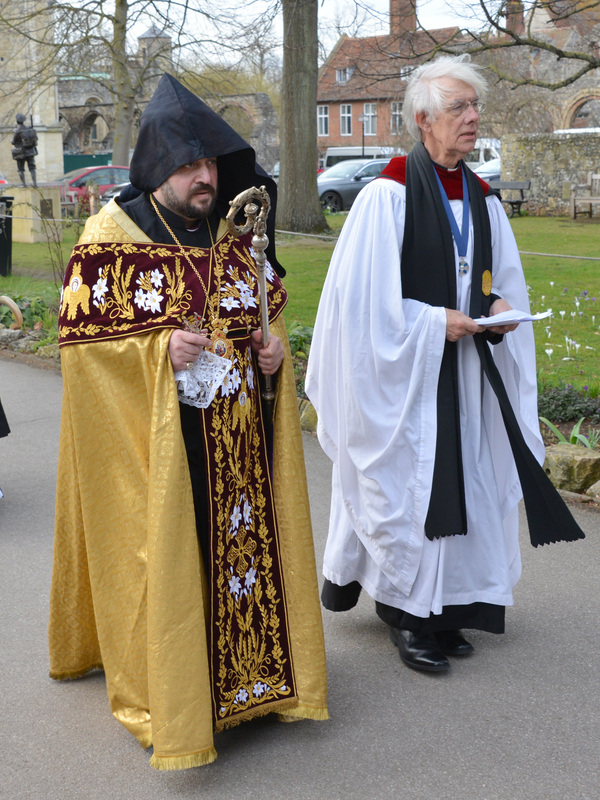 * Davidson was appointed Archbishop of Canterbury in 1903, succeeding Frederick Temple and remained in office until his resignation in 1928.